Are you tired of running or going to a traditional gym? Looking for workouts proven to be effective and more fun than both? The Strong On! classes at Dragon Gym get you lean, strong and healthy in just a few short workouts per week. We've developed a unique system of kettlebell training that combines strength, conditioning and mobility that will help you burn fat, lose weight, build endurance, and boost muscle. Best of all you look, move and feel better than ever. Effective programming - Kettlebell Combos, complexes, circuits and chains burn MAXIMUM calories in minimum time. Efficient workouts -- You're in, you're out. The classes are quick, you'll get the best workout of your life and leave completely energized. Variety -- Keeps your body AND mind challenged. These fun workouts will keep you coming back for more...and that's how you get results! Versatility-- The Kettlebell is quite possibly the most versatile fitness tool there is. Build strength, muscle, endurance and flexibility--all in the same workout! All of our new students start the same way, with a free, no-obligation kettlebell orientation lesson, followed by a test-drive of one of our Strong ON! kettlebell classes so that you can experience what it's all about. After which, you can join one of our Kettlebell courses or transformation challenges. 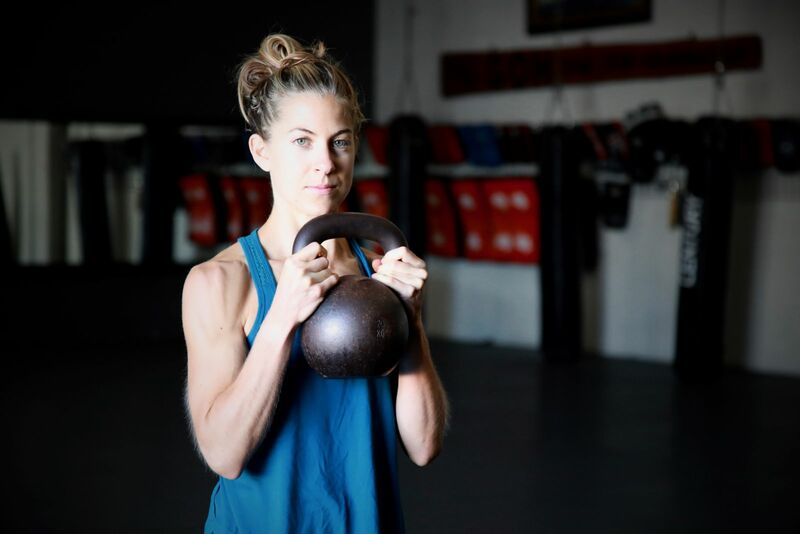 The program is great for beginners with no prior kettlebell experience as well as seasoned lifters as it includes both private and group instruction so that new students can try out the program in a suitable environment. One of the great things about this program is that it gives us a chance to evaluate your progress and abilities while giving you the opportunity to try out classes, see the facility, meet the instructors, and learn more about the benefits of training with Russian kettlebells. Just fill out the form below to contact us today about getting started and schedule that first lesson. Every journey starts with a single step…TAKE THAT STEP!